Before kids learn to read they first learn to color and they love it! 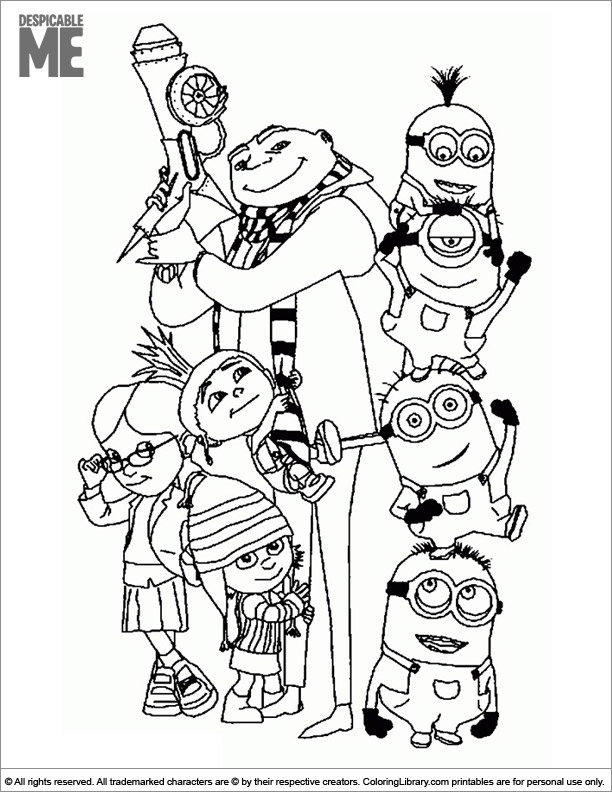 Choose your favorite colors for this Despicable Me coloring book printable picture. You can also decorate it if you use some glue, glitter or stickers. Need a fun activity for the kids? Have them color in all the Despicable Me coloring sheets with all their favorite colors, print them out and create a special coloring book.